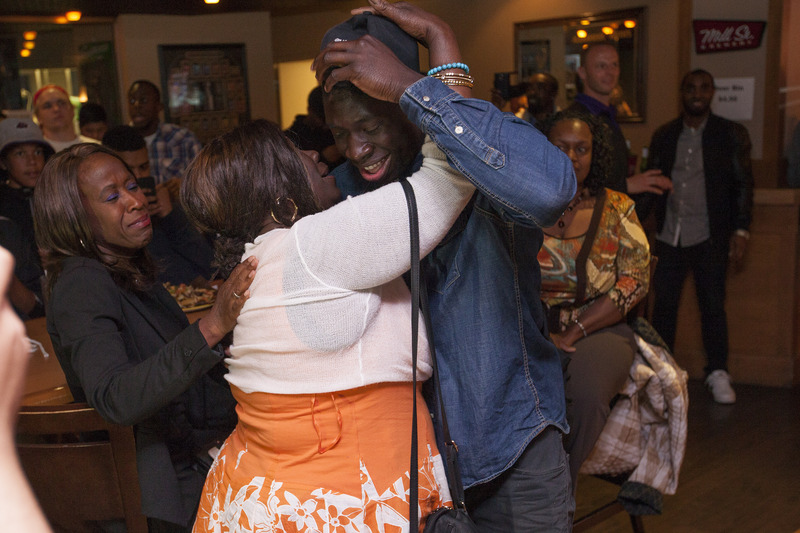 Wilf’s pub on Wilfrid Laurier University’s campus erupted Tuesday night as defensive back Chris Ackie and defensive lineman Ese Mrabure-Ajufo were drafted fourth and fifth overall in the CFL draft. This is the first time since 1970 that two Laurier players have gone in the first round. Fourth overall is also the highest a Hawk has been drafted since 1972 when Tom Walker went to the Hamilton Tiger Cats. Ackie, a fourth-year standout with the Golden Hawks who was ranked 11th going into the draft, will be the newest addition to the Montreal Alouettes. He’s coming off his best season with the Hawks, where he was named a first-team all-Canadian and an Ontario University Athletics first-team all-star. He recorded 48.5 tackles, good enough for seventh in the conference. Ackie also had three pass breakups, an interception and a sack throughout the year. Ackie impressed at the CFL combine as well when he finished first overall in the 40-inch vertical jump and the broad jump. Mrabure-Ajufo will join the BC Lions after also coming off an outstanding year with Laurier, earning second-team OUA all-star honours. He finished third in the conference for tackles for a loss with 10.5 and fourth for sacks with 5.5. Mrabure-Ajufo also recorded 25.5 overall tackles, the sixth most for Golden Hawks this season. At the combine, the 17th-ranked prospect finished as the top defensive lineman in the vertical jump and 3-cone drill. This is the highest members of the Golden Hawks squad have been drafted in the CFL draft since before 2012, when Shamawd Chambers was selected sixth overall to the Edmonton Eskimos. In the fifth round, fourth-year running back Dillon Campbell was selected by the Toronto Argonauts with the 39th overall pick. 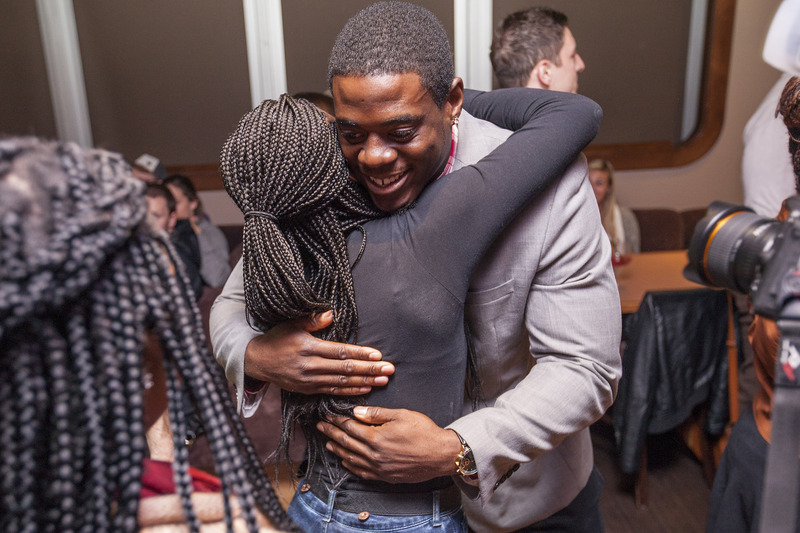 The 2014 OUA MVP finished atop the Canadian Interuniversity Sport for rushing yards, registering 1458 and 13 touchdowns.